In using the Hi Mountain Buck Board Bacon cure as a brine to inject hindquarters, how much ice water do you use per the 2 packs ? I'm glad you enjoyed the recipe and the video! When injecting my venison hams I "attempt" to achieve a 20% gain. However, this can be very difficult to do because venison muscle tissue will only absorb, and hold a certain amount of moisture and then it seems that the more you inject into the ham, the more brine that simply runs right back out of the product! The Buck Board Bacon Cure is in 2 packets 1/2lb each and this is portioned to season 24lbs of meat. A 20% gain on 24lbs of meat would be 4.8lbs of water. I add some additional sugar to my hams because the bacon recipe tends to be to salty of a mix for hams. This is why I increase the water to 5lbs, this will allow for the dilution of the additional sugar that I add to the blend. This should provide you with a good starting point Brian, from there many factors will depend on your own individual taste. I normally cover my hams and place them in the cooler for 5-7 days allowing the cure and seasonings to evenly absorb through the ham. You will notice that additional brine will leak out of the ham over the next few days, I've handled this issue in different ways and achieved varying results, if you empty this extra brine every couple days the ham will have a milder flavor profile as far as salt/sugar is concerned. If you leave the extra brine in the pan and simply turn the hams over every 2 days you will have a stronger flavor because the ham is laying in a bath of salt/sugar brine. After allowing the ham to brine for 5-7 days I rinse off and brine on the outside of the ham with good clean, cold water, then place the ham directly into the smokehouse. Hams are a large product so you can start the smokehouse temperature at a higher level than you would with a snack stick, Jerky or smaller diameter product. I generally will start around 165-170F. If you are looking for a strong smoke flavor you may want to begin smoking immediately, if you like a mild smoke flavor you may want to dry the surface of the ham off for a couple hours before beginning to add wood chips to your smoker. You can slowly increase the temperature by 10F each hour until you achieve a 156F internal temperature, then your product is ready to slice and eat! Enjoy Brian and thanks again for the question! What is the best range of temperatures for aging game meat,the highs and lows? Ken asks : What is the best range of temperatures for aging game meat,the highs and lows? 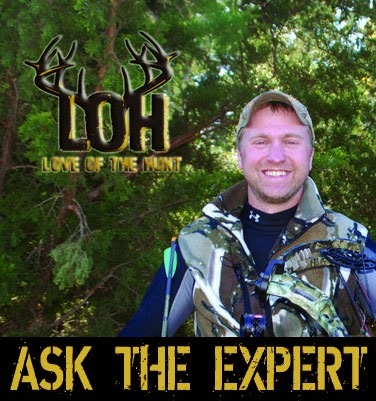 Thanks for the great question on one of my favorite topics! Proper aging is a true art form based on time and Temperature, the higher the temperature the less aging time. I know of several top end restaurants that prefer to age as close to the 41F USDA limit as possible, this speeds up the aging process and still allows ample time for the body moisture to evaporate from the carcass. When aging 2 key things are happening, one is the body moisture is evaporating from the carcass and as it is with our wild game animals this allows the "game" flavor to leave the carcass as well. Also the muscles fibers being to break down causing a more tender product, this process it to in depth to describe in this short blog. So the body moisture evaporates changing the flavor and the muscle tissues break down making a more tender product. The colder you store the meat the slower the muscle tissues break down, let's say for example you choose to age at 34F, not much above freezing, it will take some time for the muscle tissues to break down in these cold temperatures however the evaporation process will occur at basically the same rate. You could age longer and evaporate more body moisture. If you age at a higher temperature the muscle tissue will break down faster so you will not need to age as long and this will leave more body moisture in the carcass. One key product needed for proper aging is a method of accurately controlling the temperature, I would suggest you take a look at the Koola Buck Portable Walk in Coolers, they are perfect for this task. There is no perfect answer to this question, it's totally based on personal preference, I can only explain what is happening during the aging process and allow you to experiment from there. One guideline that you can use is to age 3 days for every 100lbs of carcass weight at a temperature between 34F and 41F and see what flavor and tenderness is right for you. Good luck Ken and thanks for asking one of my favorite questions!